Welcome to Abacus Math Club®! 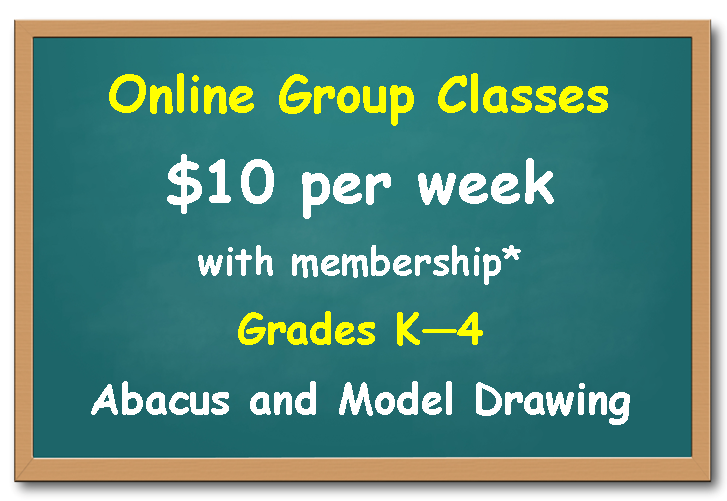 We offer online math enrichment classes in abacus, math facts, and model drawing for children in elementary school. *Membership is only $15 per child.